Clearance Blitz and Cute Teacher Gift Idea! Quick and Easy teacher gift! I just used washi tape on a pre-painted (white) frame from the craft store. 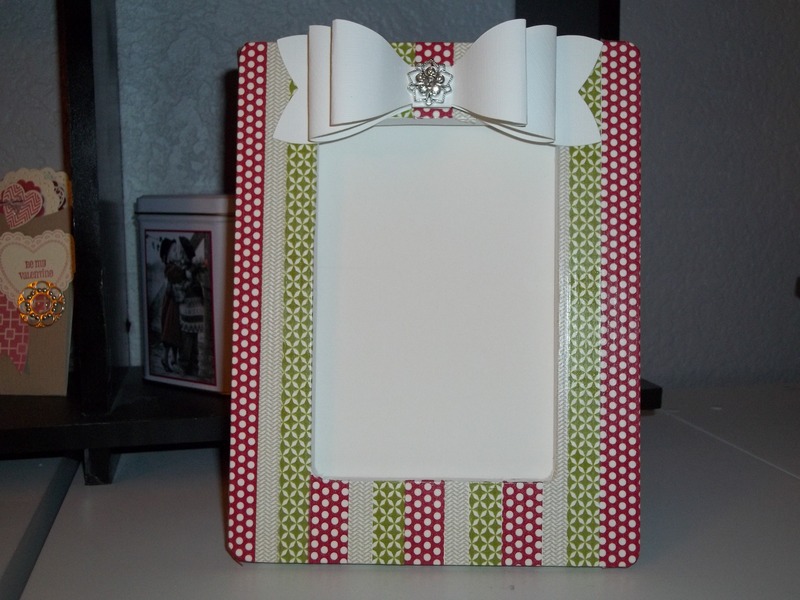 ($2.99) Then I used the Gift Bow die to make the bow. Topped that off with a Frosted Finish embellishment! So simple and very cute! Check out my site for the latest added to the clearance rack today! Available while supplies last!! Up to 80% off retired items!! Get those crafters in your life (teachers, teens, moms, sisters, aunts, yourself??) a great gift or three! At these prices, you can look like you spent a ton! Click here to start shopping now! Any orders of $150 or above qualify for hostess benefits (freebies).